July ATC Swap Theme - Texture Stamps! 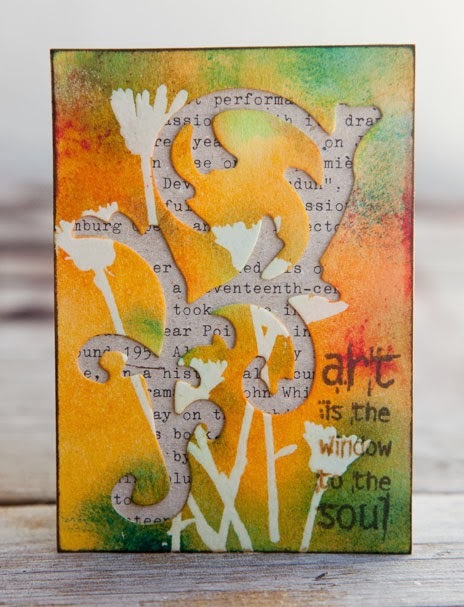 The theme for the July Darkroom Door Artist Trading Card swap is Texture Stamps! Darkroom Door Texture Stamps are the perfect size for ATC's! Use one or more of these stamps in your ATC this month. You can combine it with other Darkroom Door stamps, embellishments and use any technique or stamping medium. 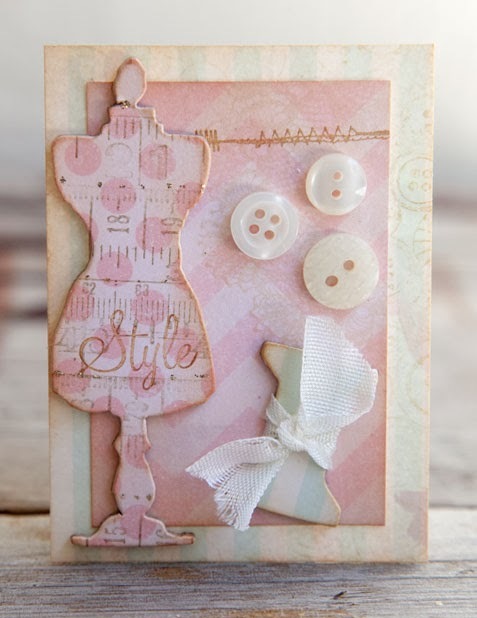 Susie Campbell has used a watercolour technique with the Buttons Texture Stamp, then combined it with the Little Ladies and Dressmaker Rubber Stamp Sets. For the full details on how you can participate in this month's swap, click here. Due date: 31st July, 2015. Artist Trading Card swap details: METAL MANIA! Create a ATC using metal in some way. 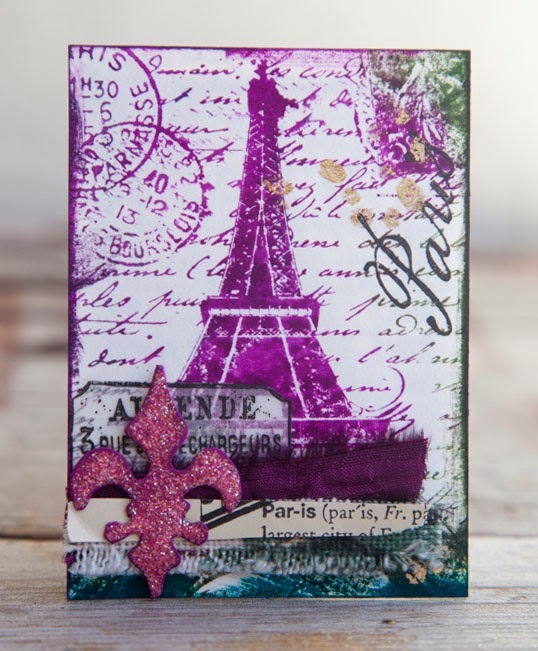 Use a metal embellishment, metal sheeting or create the look of faux metal for your ATC's! There are lots of options and ideas! Remember you must also use a Darkroom Door stamp or paper product in your ATC to be eligible for the swap. Click here for the full details on how you can participate. Due date: May 31st, 2014. 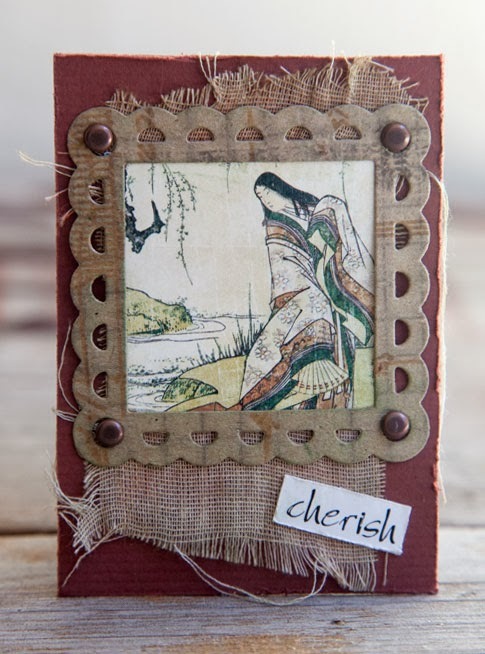 Every month on the Darkroom Door blog we hold an Artist Trading Card swap. It's a great way for crafters to share a bit of their own artwork with other like minded crafters around the world and gain some new ideas and inspiration! Each month has a different theme. Recently one of the themes was 'Darkroom Door & Sizzix' where all the artists needed to use a Darkroom Door stamp or paper product combined with a Sizzix die or embossing folder. It was so much fun watching the ATC's arrive in the mailbox and seeing what all the artists created! 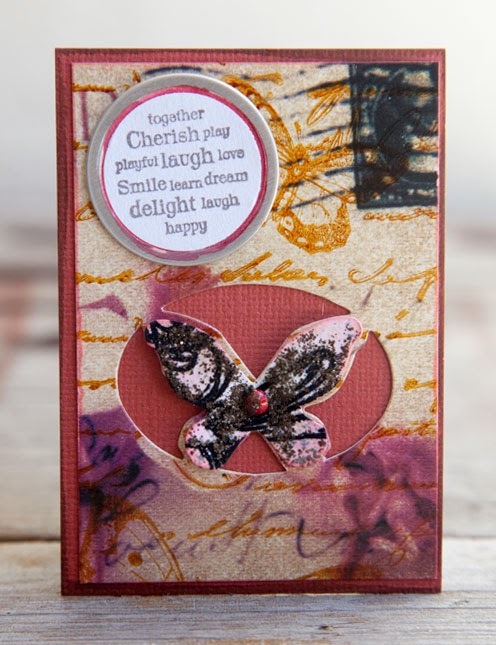 Each idea was different and the combinations of dies, stamps and embossing folders used gave us all some new great ideas on how they can be used. 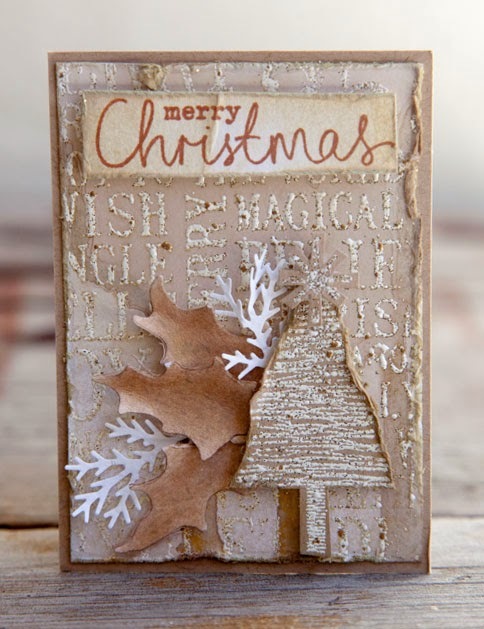 Created by Belinda Spencer using Sizzlits Decorative Strip Die - Festive Greenery #657467, Darkroom Door Stitched Christmas Rubber Stamps and Christmas Word Block Stamp. 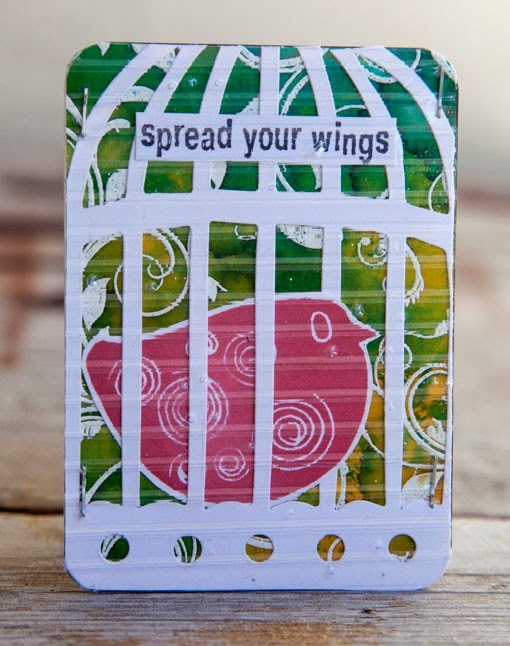 Created by Godelieve Tijskens using Sizzix Bigz Caged Bird Die #656634, Notebook Texture Fades #656647, Darkroom Door Carved Birds Vol 2 Rubber Stamps, Wildflowers Rubber Stamps and Flourish Background Stamp. Created by Jenny Webster. A Darkroom Door Art de Fleur Photochip was cut using the Sizzix Movers & Shapers Magnetic Die Set Butterflies #658367 on a Sizzix Base tray. 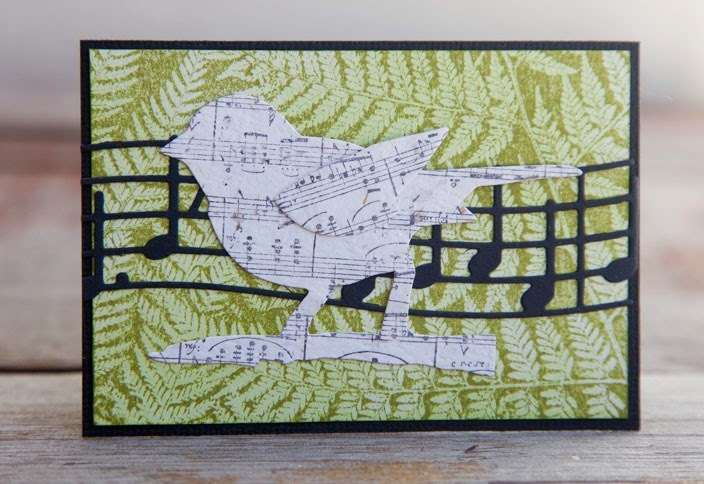 Created by Judith Beattie using the Sizzix Bigz Caged Bird Die #656634 and the Darkroom Door 'Ferns' Photo Stamp. Created by Susie Campbell using Sizzix Movers &Shapers Magnetic Die 'Fleur' from the Mini Crown and Fleur Set #657210 and Darkroom Door Tour Eiffel Rubber Stamps. 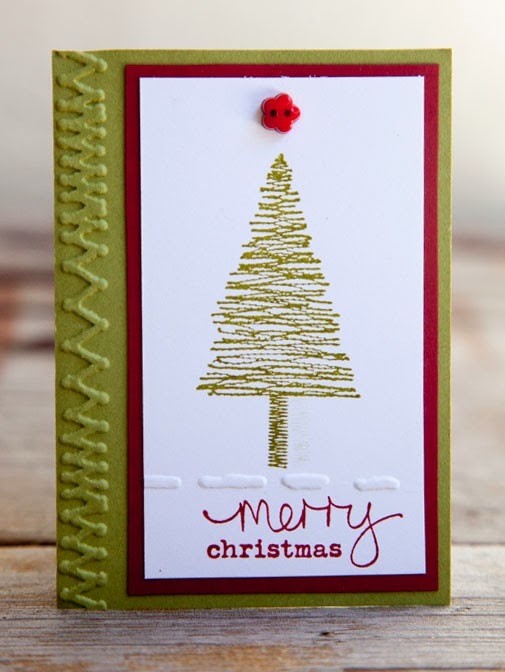 Created by Teresa Abajo using Sizzix Movers & Shapers Magnetic Die Mini Sewing Room #657487 and Darkroom Door Measuring Tape Background Stamp, Fashionable Rubber Stamps and Stitched Christmas Rubber Stamps. Created by Tracey Strong using Sizzix Texture Fades Pattern & Stitches Set #657198 and Darkroom Door Stitched Christmas Rubber Stamps. Created by Vicky Fernando using Sizzix Mini Flourish Alterations die #657205, Darkroom DoorWildflowers Vol 1 Rubber Stamps & the sentiment from Gothic Arches Rubber Stamp set. I'm sure you'll agree with me that the different ideas and artwork from all of these artists is amazing! Hope you have a creative weekend! Thanks for stopping by today! Thanksagain to everyone who participated in the swap! If you'd like to joinin our next swap, check out the details on the sidebar to the left.Have a great day! Thanksagain to everyone who participated in the swap! If you'd like to joinin our next swap, check out the details on the sidebar to the left. Thanks again to all the artists who took part in the swap!If you're keen to join in our monthly ATC swaps, please click here for all of the info!